Virgil Tibbs (Sidney Poitier) is passing through a small town in the deep South of the United States in the 1960s the night a murder and robbery has taken place. As an unknown black man sitting at the station, he is immediately considered the prime suspect and arrested. When the senior officer Gillespie (Rod Steiger) discovers that Tibbs is a police officer, he reluctantly lets him go, but upon discovering that he is a homicide expert, he drags him in to assist. Both men have prejudices that they need to face, but Tibbs also must try to stay alive in a town that has young men rushing out in gangs to beat him to death. How depressing. To think that places like this existed, that whole towns could have this type of attitude and for it to be acceptable. I know the world is far from perfect today. We still have racism and attacks and all kinds of nastiness. It was a great film, and while I hope that this specific situation is no longer, it is still worth watching. 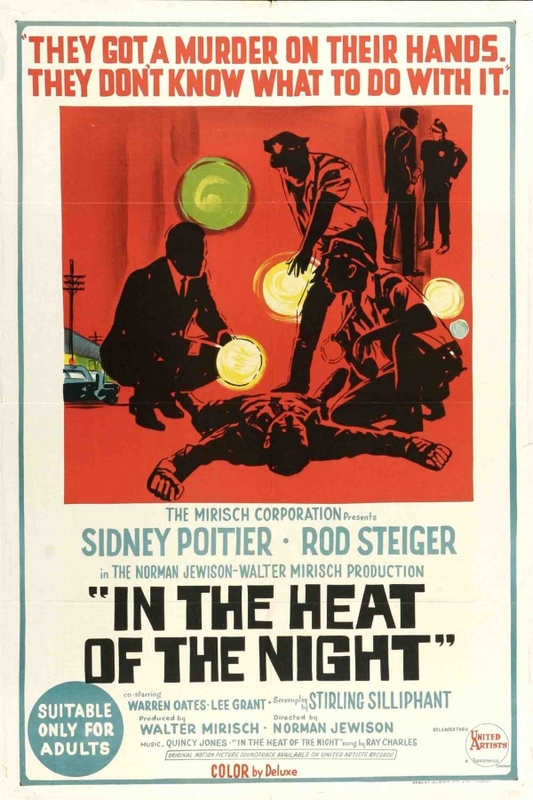 In the Heat of the Night won Oscars for Best Picture, Best Actor in a Leading Role (Rod Steiger) Best Writing, Screenplay Based on Material from Another Medium (Stirling Silliphant), Best Sound and Best Film Editing, and was nominated for Best Director (Norman Jewison) and Best Effects, Sound Effects.